Ngāi Tahu culture is unique and enduring. It encompasses our values and traditions, our language and whakapapa. These are the elements that tell us where we have come from, how we lived, who we were and who we are today. In 2006 Te Rūnanga established the Ngāi Tahu Fund to ensure whānau have the ability to access resources to strengthen Ngāi Tahu cultural excellence through sustainability, innovation and tenacity. Twice a year tribal members and groups of members can apply for funding for projects designed to meet specific cultural objectives, including building cultural knowledge, encouraging cultural practices and leadership. The growth of tribal cultural capacity is essential to protect and preserve our culture for the future. The key priority areas include whakapapa, te reo Māori and tikanga, the arts, whānau and whenua (land) development and traditional food gathering practices. 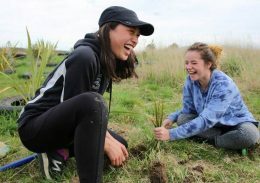 To date the Ngāi Tahu Fund has completed 26 funding rounds, contributing just under $11M to Ngāi Tahu individuals, whānau, hapū, Papatipu Rūnanga in Te Waipounamu and Taurahere Rōpū in the North Island and Australia. The Ngāi Tahu Funds Committee, which is comprised of Ngāi Tahu leaders and funding experts, has received over 1500 applications of which over 970 have been approved. This includes people wanting to investigate their whānau whakapapa and history, plus groups hosting workshops on traditional arts like weaving and carving, along with environmental revitalisation projects. The latest funding round closed on Friday 29 March 2019 at 5pm. Please note: For fairness to other applicants, late or incomplete applications will not be accepted. Please ensure your application is submitted with all of the required accompanying documents and information and on-time. Exceptional circumstances must exist for the Ngāi Tahu Fund to accept an out-of-round application. For the Ngāi Tahu Funds Committee to consider an out-of-round application, all required documents must be included (see application checklist) with the application; and received no less than a calendar month before the project commences. Also, those submitting an out-of-round application must contact Funds staff prior to submission. Call 0800 KAI TAHU (0800 524 8248) today and find out how to apply.